Every business, every brand strives to make their name big out in the market, but how you do it? The best way is to ‘Build a Brand’ and in this age of the Internet there are millions of ways you could brand, through advertising, through promotions, through Content. But still there’s one thing which is believed to be the most important. That’s your Website. Your website is literally able to give you a more professional and uplifted look for your brand, and especially if you can focus on small details of your website design you can get a lot out of it. 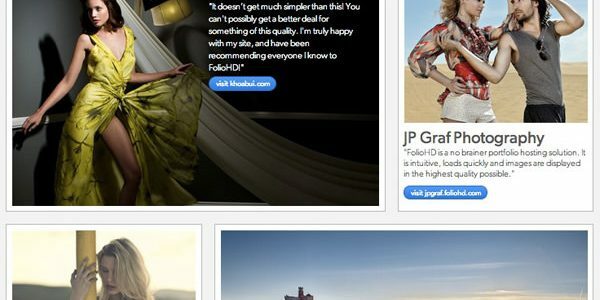 Your website design if it’s really good enough can get you a great engagement rate. 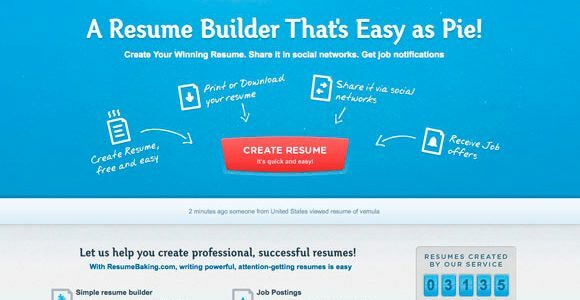 This is a Resume Building website and as you can see there are multiple options and text written on the page, but still they main heading named “Create Resume” has been given the Red color and it’s because they want you to focus on that particular heading more than any other. So the first design has pretty simple Font used and it’s great for that particular website as it’s a website design of a photography brand. Thus they use Pictures as the message conveyer to the audience more than the pictures. While on the second picture which is the design of a Fashion brand, they do use different type of Fonts to give the website a more ‘Funky Look’. So you can see the first image shows the website of a primary school and the second one is a website offering some courses for personal development. Now if you look at them you would notice there aren’t that many sections in the first picture that are in the second one. Sections like “Online Courses, Books, and Certifications” don’t have any kind of replica or similar one in the first picture because for a primary school that many sections aren’t needed and all they need to put on their home page is a button saying “Contact Us”. This may seem like really simple and basic to focus on but believe me a great amount of people still make mistakes understanding this portion and how to manage it. This is the homepage of the Nike’s website, so when you look into it what do you feel? Don’t you feel inspired and motivated? It’s exactly what their brand stands for. Thrill energy and motivation is their brand’s pillars. If you adopt the same strategy your website will definitely make a good impact on the audience. When Learning humans focuses 80% on what they see and the rest is reading and hearing. Now when you look into the homepage of apple’s website you get to see a big picture of “IPhone X” this design has been there since the IPhone X was released. So when you visit their website, a big neat and clean, astonishing picture of the Latest IPhone X adores you and that’s their strategy that whenever a visitor visits their website he should feel the fire of their Latest Mobile Phone. So you have to be creative with how you use Images in your design. The Homepage of this website is showing a picture of a Model, and when you look at it you start to focus on her blue eyes because they are attractive. And that’s what they are aiming for as they are promoting their latest Eye-Liners. They have used the art of using the images to connect with the reader in a better way. If you want your company and your brand to get the top position you have to be a step ahead than the market. Try to introduce innovation into your design and differentiate yourself from the other people in your field. Just like some of the developers are using the latest “Material Design” in their codes, to give a better appearance. 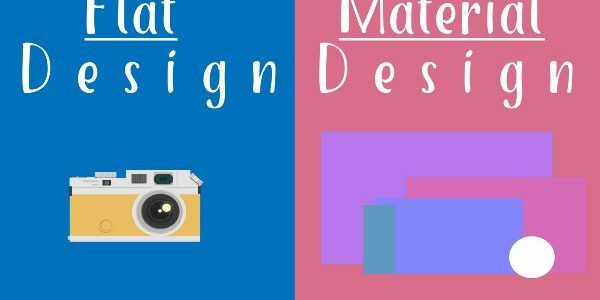 Adding material design in your websites at the right pages and using them creatively can lead you to better engagement levels. The material design actually helps you to put the details to any page and it helps a lot in getting the users attention and making him to engage deep into the content. That’s why developers always choose Material Design over Flat Design these days. If your visitor isn’t feeling the context of your brand through your website that means your visitor isn’t engaged with you properly. You may have an incredible personality, you may have the best product in the world but if your website’s design isn’t mapping up with it you are going to lose. Still today a lot of people don’t take their website’s design that seriously and never bother to go deep down on what matters in a good design and thus their brand lose in the market. I would personally advice everyone with any kind of brand owner ship to understand how critically your website’s design affects your business. – Why your Business needs a Website Today!